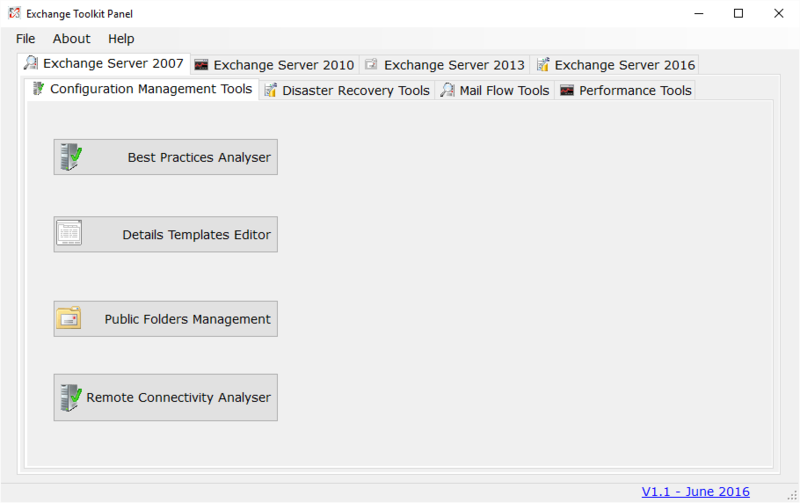 We are delighted to announce the release of a new program from TechyGeeksHome called Exchange Toolkit Panel. This is a version 1.1 release (version 1.0 was for private testing) but we have big plans for this program going forward by eventually adding Powershell scripting into it in future releases. The program runs as a very handy standalone executable requiring no installations so can be kept on a USB stick if you want.